Peace be upon you (all); O the Household of Allah. Peace be upon you (all); O the elite of Allah. Peace be upon you (all); O the best of Allah’s creatures. Peace be upon you (all); O the masters of all masters. Peace be upon you (all); O the lions of jungles. Peace be upon you (all); O the arks of redemption. Peace be upon you; O Ab£-`Abdull¡h al-°usayn. Peace and Allah’s mercy and blessings be upon you; O the inheritor of the knowledge of the Prophets. Peace be upon you; O the inheritor of Adam, the elite of Allah. Peace be upon you; O the inheritor of Noah, the Prophet of Allah. Peace be upon you; O Abraham, the intimate friend of Allah. Peace be upon you; O the inheritor of Ishmael, the slaughtered by Allah’s order. Peace be upon you; O the inheritor of Moses, the spoken by Allah. Peace be upon you; O the inheritor of Jesus, the spirit from Allah. Peace be upon you; O the inheritor of Mu¦ammad, the dearly beloved by Allah. Peace be upon you; O the son of Mu¦ammad, the Chosen Prophet. 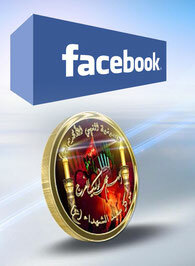 Peace be upon you; O the son of `Al¢, the Pleased. Peace be upon you; O the son of F¡§imah, the Luminous. Peace be upon you; O the son of Khad¢jah, the grand lady. Peace be upon you; O the martyr and the son of the martyr. Peace be upon you; O the slain and the son of the slain. Peace be upon you; O the saint and the son of the saint. Peace be upon you; O the argument of Allah and the son of His argument against His creatures. And you strove against your enemies. And His elite and the son of His elite. And I seek the intercession of your mother, the Doyenne of the women of the worlds. And may Allah curse those who deprived you (of your right) and those who hated you from the past and the coming generations. May Allah send blessings upon our master, Mu¦ammad, and upon his Household—the immaculate and pure. Peace be upon you; O my master and the son of my master. May Allah curse those who slew you. And may Allah curse those who wronged you. Verily, I seek nearness to Allah through my visiting you and showing my love for you (all). And I release myself before Allah from your enemies. Peace and Allah’s mercy and blessings be upon you, O my master. Peace be upon the souls that are residing near the tomb of Ab£-`Abdull¡h al-°usayn.Peace be upon you (all); O the purified from filth. Peace be upon you (all); O the well-guided ones. Peace be upon you (all); O the pious ones to Allah. Peace be upon you and upon the angels surrounding all your graves. And under His Throne. Verily, He is the most Merciful of all those who show mercy. Peace and Allah’s mercy and blessings be upon you. May the Peace of Allah and the Peace of His close angels, sent prophets, virtuous servants and all the witnesses and saints and may the pure and pleasant prayers which come and go be upon you, O son of Ameer Almo'mineen. 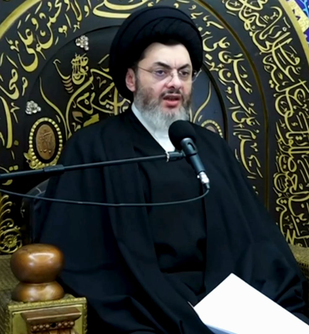 I testify that you have yielded, believed and had been loyal to the descendant of the Prophet, Allah's prayers be upon him and his household, the messenger, chosen grandson, guiding scholar, informing custodian and the oppressed and persecuted one; hence, may Allah, His prophet, Ameer Almo'mineen, Al-Hasan and Al-Hussein (pbut) grant you the best rewards for enduring, yielding and advocating. What a great fate you have in the Hereafter! May Allah damn who killed you, damn who didn't know your right and undervalued your sanctity and damn those who prevented you from reaching the Fourat. I testify that you have been oppressively killed and that Allah will undertake what he has promised you. I came to you, O son of Ameer Almo'mineen, seeking haven and having a heart that yields and follows you. I am your follower and I am prepared to advocate you, until Allah sets His order, for He is the Greatest Ruler. I am indeed with you and not with your enemy. I believe in you, in your return and I believe that whoever opposed and killed you is a disbeliever. May Allah kill a nation that killed you by their hands and tongues. al-°asan, and al-°usayn, peace and greetings of Allah be upon them. forgiveness, and gratifications be upon you, your soul, and your body. and defended His intimate ones. and obeys his (divinely elected) leaders. and exerted all your efforts (in this regard). The martyrs, and the righteous (ones). Very excellent is the companionship of such ones. and sticking to the Prophets. in the abodes of those who practiced humbly (with their Lord). He is certainly the most Merciful of all the merciful ones.